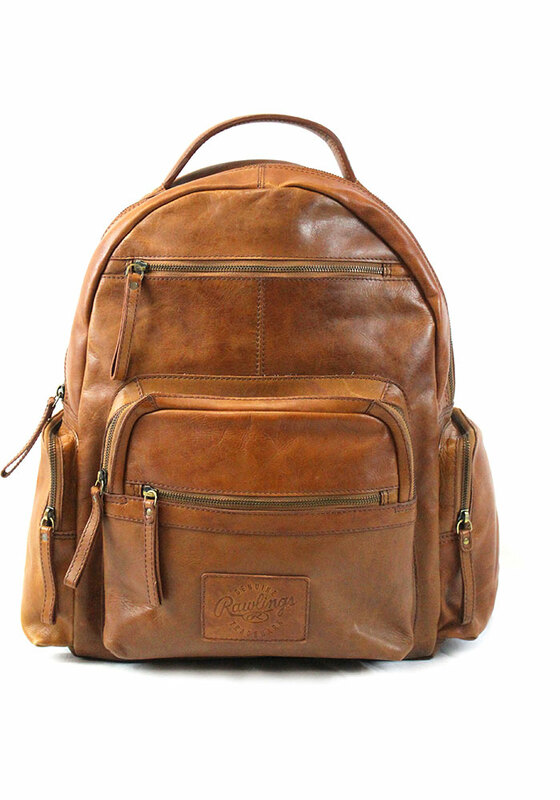 Represent your on the way to the campus library to study for that big exam with this Gifts Rawlings Large Leather Backpack! 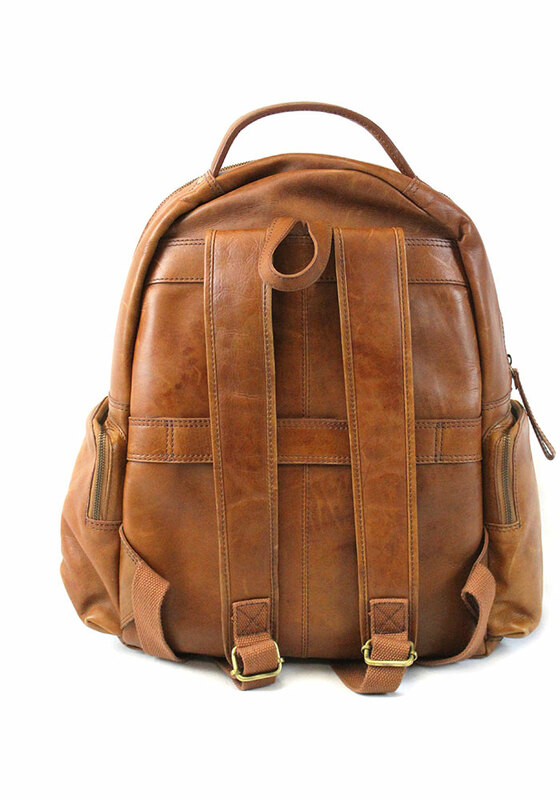 It features a vintage pre-washed look in a rich and warm tan leather. 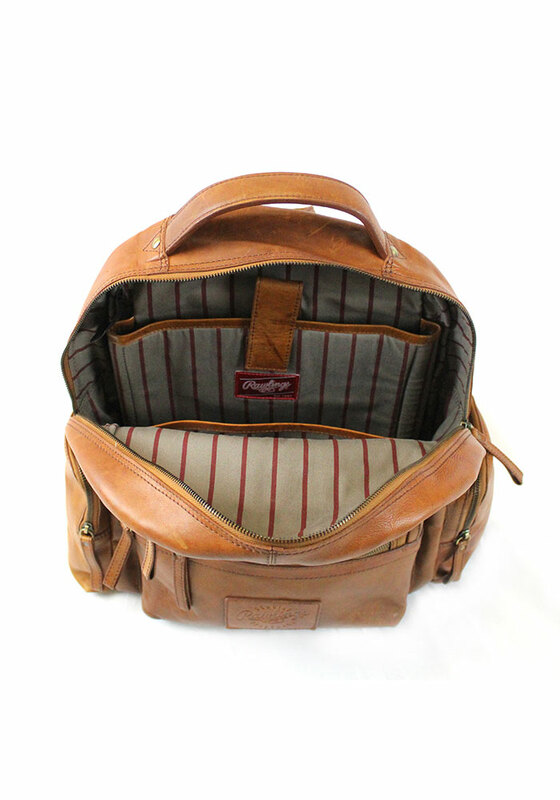 This bag has 5 exterior pockets, padded straps, and a spacious interior with padded laptop compartment. Rawlings has a deep history of providing quality gear for baseball players everywhere. Be a part of the game with this Rawlings backpack, so you'll be able to show your team spirit and carry everything you need to study!